Botanical Name of Horse Chestnut: Aesculus hippocastanum. Other Common Names: Conker, buckeye, Spanish chestnut, yleinen hevoskastanja (Finnish), almindelig hestekastanie (Danish), hästkastanj (Swedish), hrossakastanía (Icelandic), hestekastanje (Norwegian), Rosskastanie (German), marronnier (French), castaño de India (Spanish). Habitat: Horse chestnut is native to the Balkans, West Asia, and the Himalayas. Today, the tree is grown for ornamental purposes in parks and gardens in temperate areas throughout the world, especially in northern and western Europe. Plant Description: Horse chestnut is a large deciduous tree that can grow up to 40 meters (131 ft) in height and reach an age of 200 years. It is richly branched and has a wide, dense domed crown. The leaves are palmately compound and opposite with 5 to 7 leaflets. The flowers, which appear in May-June, are usually white with a pink spot at the base of the petals. They form a lot of nectar and are very decorative. The flowers are produced in panicles with 20 to 50 flowers on each panicle. From each panicle, one to five fruit develops consisting of a green spiky capsule that contains one (in rare cases two or tree) dark brown nut-like seed know as conkers or horse chestnuts. Plant Parts Used: The conkers, bark, flowers, and leaves of the horse chestnut tree have been used for medicinal purposes. The conkers are gathered when they fall to the ground in the fall. The ripe conkers are dried at temperatures up to 60 ° C. They taste bitter and are poisonous in their raw state. The leaves are collected in the summer and are used fresh, or dried for later use. The bark is collected in spring and dried for later use and the flowers are usually hand-picked and dried at a temperature below 35 °. After drying, the flowers should be protected against light and moisture and be placed in containers with a tight lid for later use in extracts. The flower extract is odorless but has a bitter taste. Poland is the country which is the largest supplier of horse chestnut extract to the pharmaceutical industry. Active Ingredient and Substances: The conkers contain steroids (stigmasterol, alpha-spinasterol, beta-sitosterol), triterpene glycosides (including 5% aescin, composed of several glycosides) and flavonoids (quercetin, kaempferol, astragalin, isoquercetin, rutin). The conkers also contain coumarins (aesculetin, fraxin, scopolin), allantoin, choline, phytosterol, amino acids, citric acid, tannins (including proanthocyanidins), starch and fat. The leaves contain coumarin glycosides, flavonoids, tannins, and traces of aescin. The bark contains coumarin glycosides (aesculin, fraxin, etc. ), flavonoids, aescin, allantoin, and tannins. Although the leaves, bark, and flowers have been used in traditional herbal medicine, it is the big, shiny brown nut of the horse chestnut tree which is of greatest medicinal interest. From them, an extract is obtained which is used to strengthen the walls of the blood vessels so that blood flow from the veins in the legs back to the heart improves. The dried conkers contain 3-6% of a mixture of triterpene saponins, known by the common name aescin (escin). It is aescin which is considered the main active ingredient responsible for the strengthening effect on the veins and capillaries, and standardized extracts made from the conkers usually have much higher concentrations of aescin (usually 16-20%) than the conkers do in their natural state. It is estimated that 10-15% of adult men and 20-25% of adult women suffer from weakness in the veins walls which often results in varicose veins and swollen ankles. The conventional treatment is usually elastic stockings and diuretic medication. 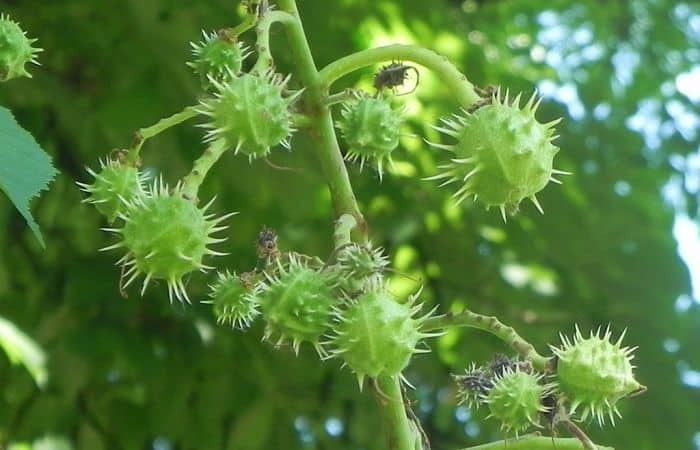 Using extracts from horse chestnut conkers in addition to those conventional treatments is believed to significantly improve these ailments associated with weak vein walls. 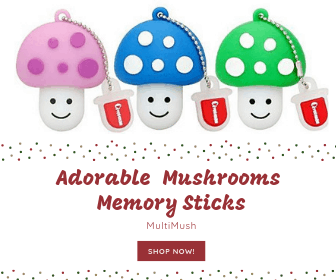 This reduces the feeling of having heavy legs, nocturnal leg cramps, itching, and swelling. In many countries in Europe, the use of standardized horse chestnut extract has been the main treatment for chronic venous insufficiency, varicose veins, and fragile capillaries, and it is sometimes also used to reduce swelling after surgery and injuries. Although hemorrhoids is a condition in which horse chestnuts extract can be used, it is purely based on traditional usage but no clinical studies as of yet have confirmed the effectiveness of the extract in that regard. Aescin seems therefore primarily to have a strengthening effect on the walls of veins and capillaries. This promotes the transport of the blood back to the heart and attenuates edema (water retention) that often affects the ankles and calves. This edema reducing effect is due to the aescin’s ability to assist in the reduction of fluid from the surrounding tissue and return it back to the capillaries. Horse chestnut can help remove waste products from the connective tissue making the lymphatic fluid more efficient. 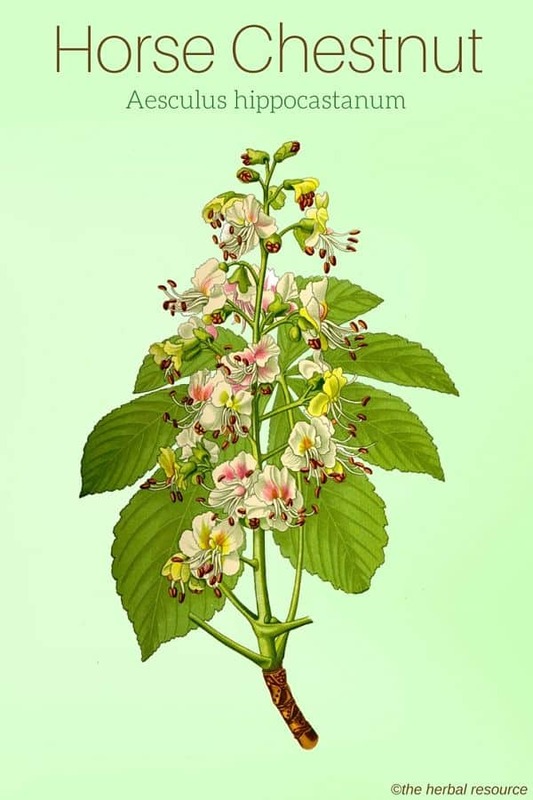 The herb does not dissolve the actual waste products that are deposited in the connective tissue, but there are other medicinal herbs that are believed to help in that regard and are often used in conjunction with horse chestnut. Examples of such herbs are birch (Betula sp. ), parsley (Petroselinum crispum) and dandelion (Taraxacum officinale). Aescin has also anti-inflammatory action and can reduce swelling due to minor sprains, cuts, and wounds when applied topically. When herbalists prescribe horse chestnut, they often combine it with other herbs for the cardiovascular system, such as hawthorn (Crataegus monogyna), ginkgo (Ginkgo biloba), grape seed extract, all of which help to strengthen the collagen in the blood vessels. Clinical research has shown that aescin may also work in a protective way on fragile capillary veins by lowering the activity of three enzymes (beta-N-acetylglucosaminidase, beta-glucuronidase, and arylsulfatase) that break down proteoglycans, molecules that provide strength to the vein walls. Researchers have reported that the blood levels of these three destructive enzymes are between 60 and 120% higher in people with varicose veins than those who do not suffer from this disease. Additionally, aescin lessens the action of the destructive enzymes elastase and hyaluronidase, which have found in high levels in patients with chronic venous insufficiency. Decoction made from the leaves and bark of horse chestnut tree has been used tradtitionally as a remedy for diarrhea and hemorrhoids, and as a natural treatment for bronchitis and pertussis. A tea made from the leaves or bark has also been used internally to treat periodical high fever, malaria, and dysentery, and it was once used to treat lupus and skin sores. A decoction of the bark and leaf is believed to have a constricting effect and has been used externally as a natural treatment for on varicose veins. The decoction has also be used as a gargle to treat in cold sores and gingivitis. Fresh leaves that were steamed in boiling water have been used as a cover for minor wounds, cuts, and scrapes. Also, extracts or decoctions made of the flowers is regarded to have astringent properties. An alcoholic extract of the flowers, often with the addition of common rue (Ruta graveolens) and rosemary (Rosmarinus officinalis), has been used externally as a remedy for rheumatism, sciatica, and gout. In addition to the medicinal applications of the herb, the conkers (chestnuts) have been used as animal feed. The nuts of horse chestnut are quite nutritious. They contain up to 40% water, 8-11% proteins, but they also contain a lot of toxic saponins. Most of these saponins must be removed before the seeds can be used for animal feed, which can be done by boiling them in water and then pouring away the boiling water. This process, however, also removes a lot of the minerals and vitamins, leaving mostly starch. During the Second World War in Denmark, the ground conkers of horse chestnut were used as an addition to regular flour to make it last longer. The roasted horse chestnuts have also been used as a coffee substitute. However, since the conkers are highly toxic in their raw state, it is advisable not to use them as food. In the past, the conkers were boiled to produce a paste that was used by bookbinders and saddlers. In the field of microbiology, the seeds are used in the preparation of nutrients for bacterial cultures. A dye can also be obtained from the bark or flowers. The wood from the horse chestnut tree is soft, light and non-lasting and has little commercial value. When the saponins found in the fresh chestnuts are dissolved in water, they produce a soap-like substance that can be used as a gentle detergent for the body or to wash wool and linen. The disadvantage is that this natural detergent smells like a horse chestnut, a scent that is not particularly likable and that lasts for a long time. Internally the horse chestnut is usually used in the form of standardized extracts containing 16-20% aescin in an amount of 300 mg (corresponding to 50 mg aescin), divided into two to three doses daily. Externally, a jelly or cream containing 2% aescin, can be applied to the affected areas three to four times daily until the swelling has gone down. Horse chestnut does not have an immediate effect. As a treatment for chronic conditions such as varicose veins, it may take the herb several months to have an effect. It should be noted that any disturbances in blood circulation may indicate serious ailment or diseases, such as a weak heart. It is therefore important to consult a professional healthcare provider to determine the source of the problems before beginning self-medication with horse chestnut or other herbs. The safety associated with the use of horse chestnut as a medicinal herb has only been established using standardized extracts made from horse chestnut conkers. At recommended doses, the extract is regarded to be safe to safe to use, even for a long time. It has been showed that an overdose of the extract intended for medical purposes can lead to anaphylactic shock. In clinical trials, adverse reactions were recorded by 0.9-3% of those who ingested the extract. Side effects consisted of bloated stomach, itching, nausea, and dizziness. Based on reports that substance aescin can impair kidney function in people with kidney disease, it is recommended that those suffering from such diseases should not consume horse chestnut extracts. People with liver disease should also avoid horse chestnut extract. Pregnant and breastfeeding women should consult a physician before starting using horse chestnut extracts. Excessive use of products containing aescin has been known to cause a rash in some patients and these products should never be used on open wounds or burns. The unprocessed conkers should never be consumed, either raw or cooked for that matter, as they are considered toxic. Serious digestive problems can occur after ingestion of only one seed and there are known cases of poisoning with fatal consequences. Sweet chestnut conkers (Castanea sativa) on the other hand are edible and can be used as food. As with all herbs containing saponins, internal use can cause irritation of the mucous membranes in the digestive system. This is minimized by the use of the herb in tablet form. Saponins and sapogenins are generally known to have hemolytic properties (break down red blood cells), but this effect is negligible when consumed by the mouth in the doses that are discussed. Since horse chestnut extracts may have a mild blood thinning effect (possibly due to the coumarin content), it is best to avoid its use with aspirin or other anticoagulant and anticoagulant medications. For the same reason, the herb should not be used a few weeks before surgery. Fetrow, Charles W. & Juan R. Avila: Professional’s Handbook of Complementary & Alternative Medicine. Springhouse, Pennsylvania, Springhouse Corporation 1999. McCaleb, Robert, Evelyn Leigh and Krissta Morien: The Encyclopedia of Popular Herbs. Roseville, Prima Health 2000.